PHOENIX (AP) — The Gastonguay family is back in Arizona, after their attempt to leave the U.S. and move to a tiny island left them lost at sea for weeks. Sean Gastonguay told KTVK-TV that his family’s boat is gone — presumably at the bottom of the Pacific Ocean. He said he now has to find work to repay the $10,000 that the family borrowed from the U.S. State Department to fly back from Chile. The family moved from Ash Fork, Ariz., to San Diego last year. 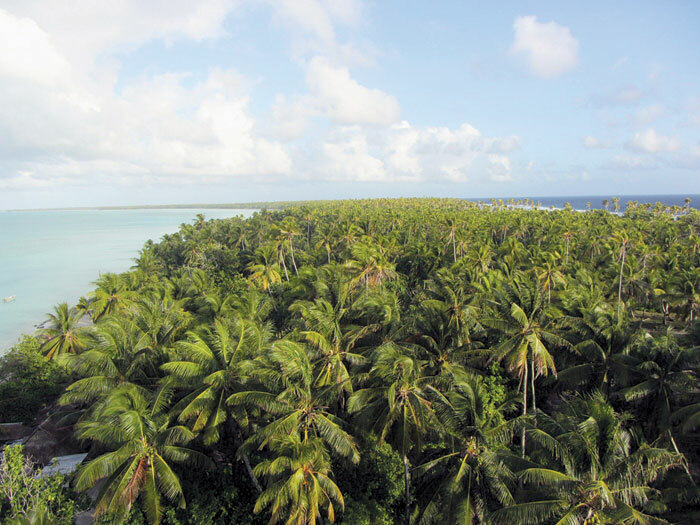 They left there in May on a one-way voyage for the tiny island nation of Kiribati, to leave behind what they consider to be an “intrusive” U.S. government that they claim interferes in their religion. However, during their cruise, storms damaged their boat and left it adrift. “The deck started separating from the hull, that was toward the end of it: The water would come in, so we were constantly pumping — and lots of stuff was getting damaged,” Gastonguay told KTVK. However, Gastonguay said that he believes his family was never in any real danger, and he has been blessed with meeting many new friends. They made it to Chile after being picked up by a fishing vessel and transferred to a cargo ship. Gastonguay; his wife, Hannah; daughters, 3-year-old Ardith and newborn Rahab; and Sean’s dad, Mike; were headed for the Kiribati group of islands, located near the Equator and the International Date Line, about halfway between Hawaii and Australia. The population is just over 100,000 people of primarily Micronesian descent. “They say it’s the least developed island — so, I figured undeveloped (means) less corruption,” Gastonguay explained. He said he hopes his family can take another adventure, once his daughters are older.